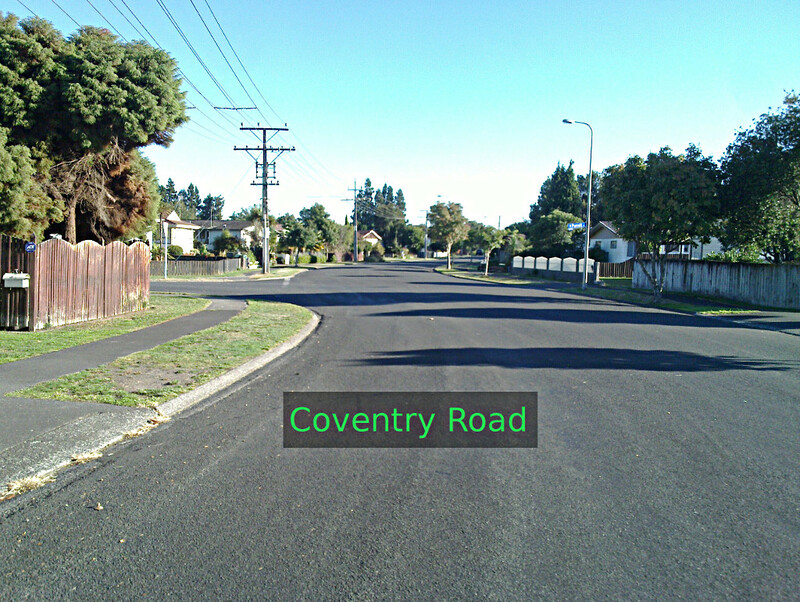 Collins Road to Kahikatea Drive walking/cycling route opened! 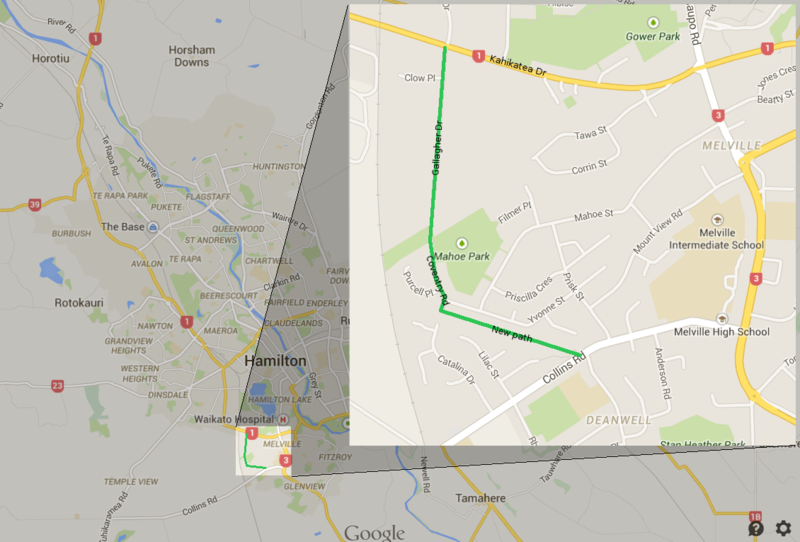 Here’s some more cycleway goodness from Hamilton City Council. And this is one I’ve personally been waiting on for a while. 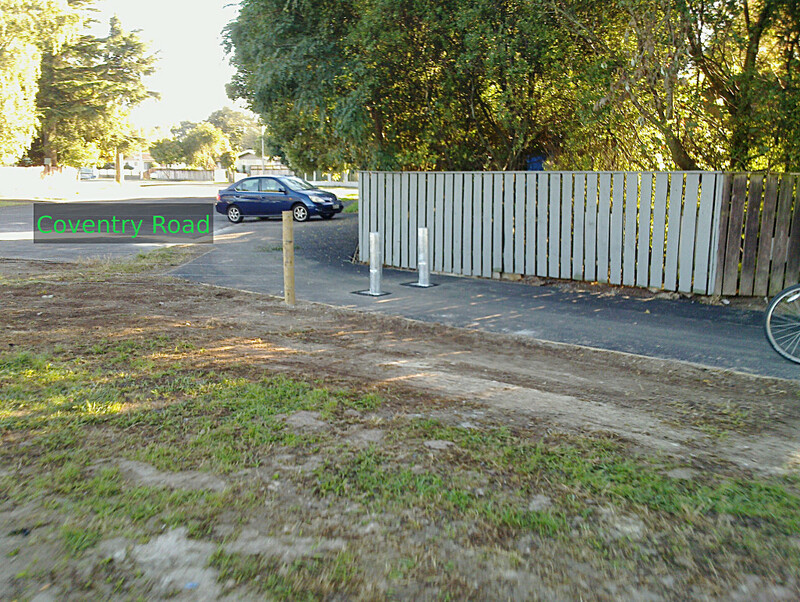 While there has for a long time existed the small ‘shortcut’ between Coventry Rd and Gallagher Dr, it was not well known, was unsealed and had poor lines of sight, probably making it a personal security concern for some. 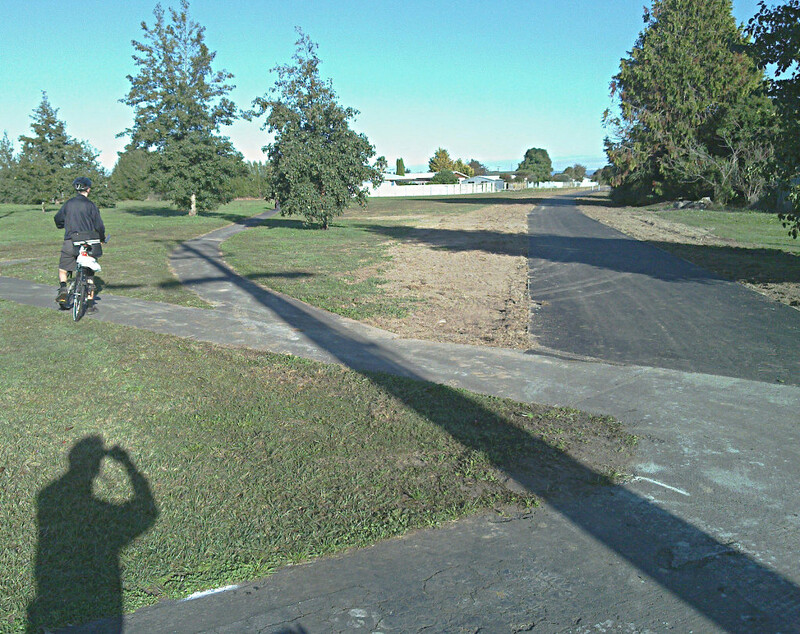 The path from Collins Rd to Coventry Rd is what really makes this route though – previously getting from Collins Rd to Gallagher Dr via the shortcut required riding half a kilometre or so over rough ground down the old road reserve (which I understand was once designated for a road linking Collins Rd with Kahikatea Dr) the new path traverses. 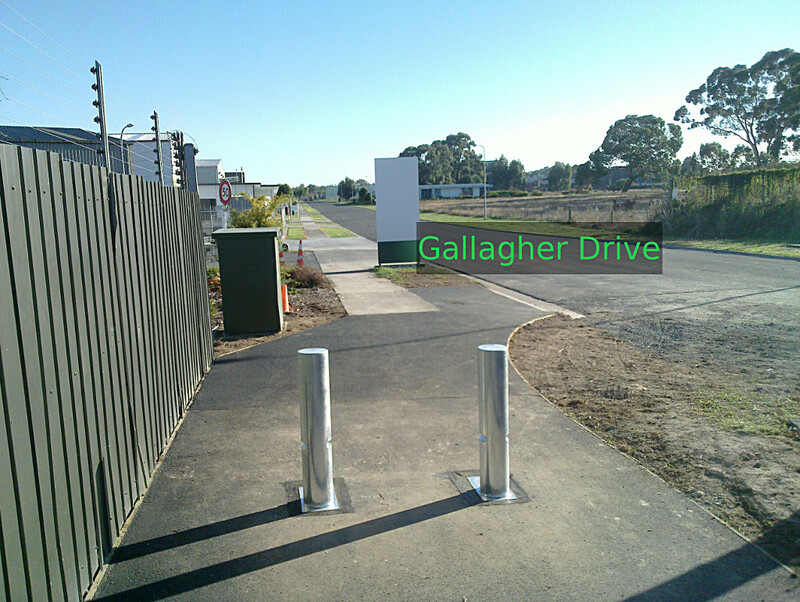 I’d personally been using the path this new trail serves for some time, since learning about the Gallagher Dr connection, but it’s going to be a lot more convenient now that it’s an official trail. 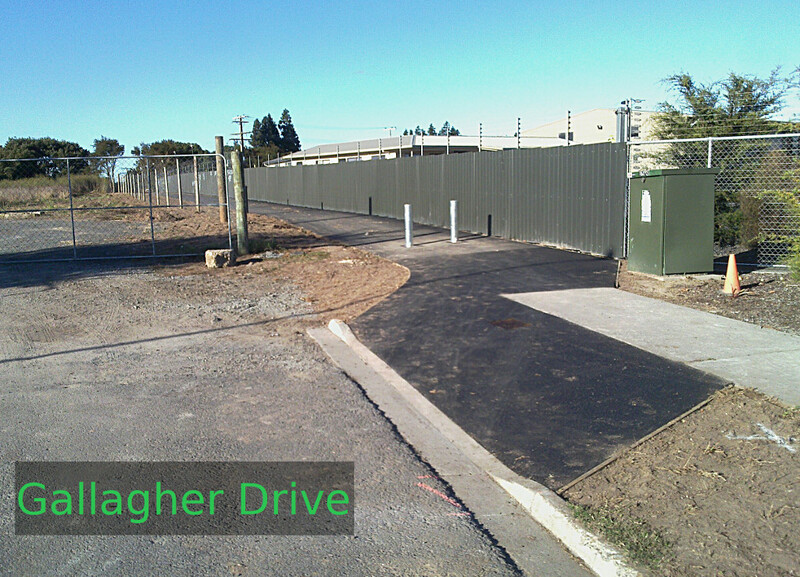 And with Gallagher Dr linking with the Kahikatea Dr walk/cycle way the off-road network’s actually starting to become pretty useful in this part of town! 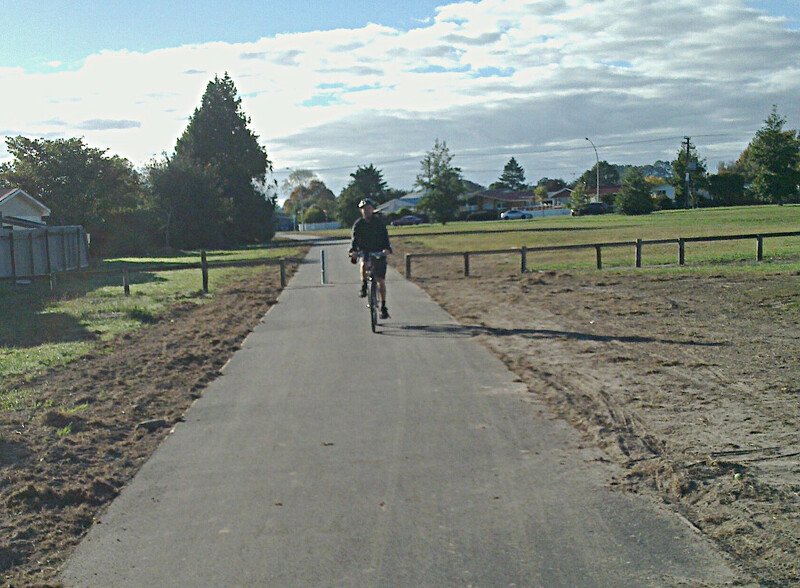 Curiously, asphalt or bitumen has been used for the new seal unlike most other Hamilton trails. I’m hopeful this isn’t going to turn into a sticky mess come Summer. 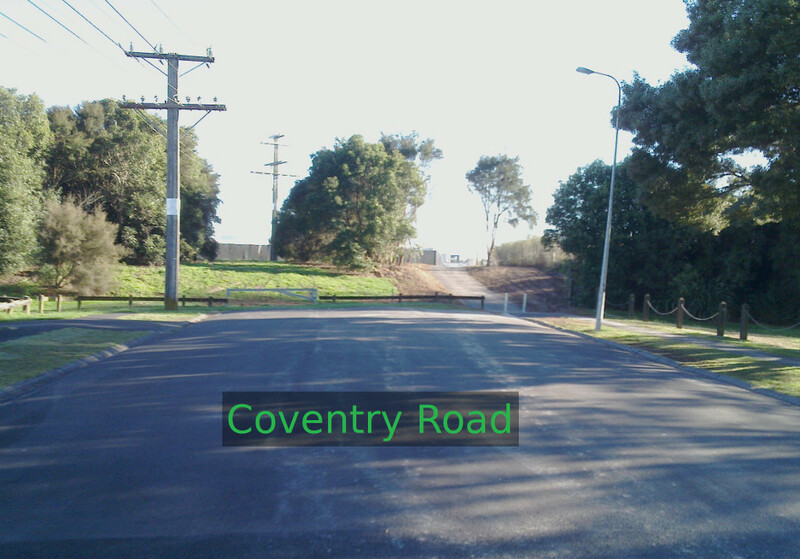 As can be seen from the map, the end of Catalina Dr is tantalisingly close to the Coventry Rd end of the new path, but that end of Catalina Dr is currently fenced. 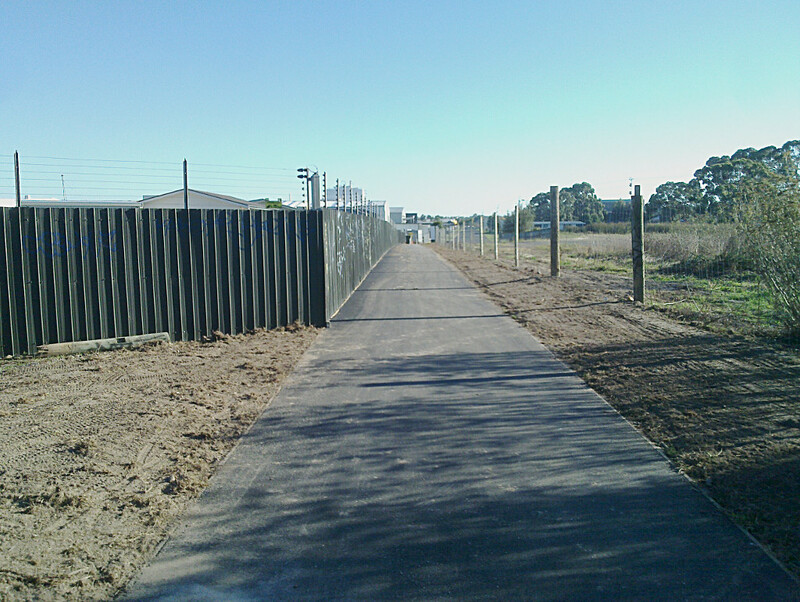 In discussions with the council there was the possibility of having the new path link Catalina to Coventry but due to concern from nearby residents at that end about criminals entering from the road reserve side, this is not likely to happen soon. Apparently, some people have been seen to loiter in the leafy and pleasant end of the cul-de-sac and watch the movements of residents in nearby houses. It probably doesn’t help that there is a selection of bushy trees obscuring the fence area and even a bench seat to make it more comfortable. I think, ironically, that opening up the end of the street, by linking to the path, encouraging more movement of people and clearing some of the trees that provide ample cover, would probably a lot more with security. After all, the fence is easily climbed in a few seconds and presents no real obstacle to would be criminals. However, the wishes of the residents must be respected above all. 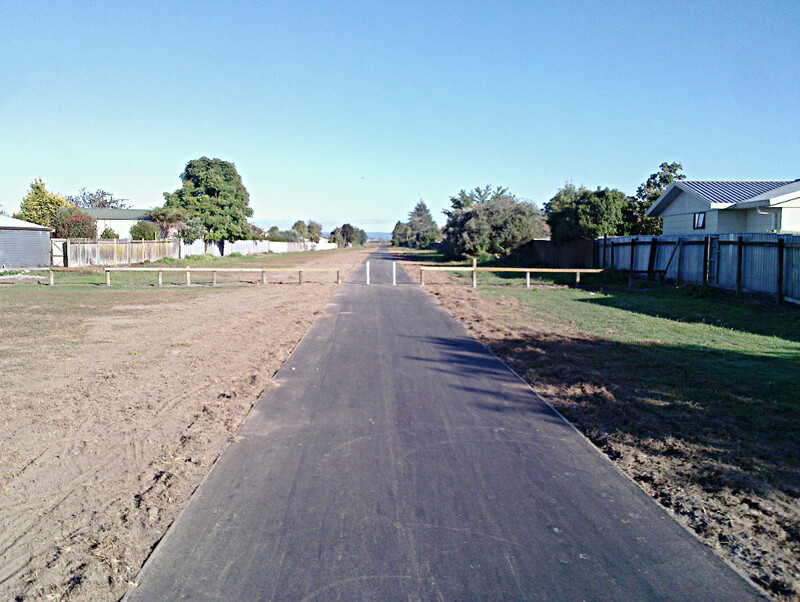 The next significant development in this corner of town will be the Ohaupo Rd walk/cycle way, which will stretch from Dixon St to Lorne St, and is due to start towards the end of the year.